If your data plan is PPT (Pay Per Traffic) and you’re using Full VPN mode, please use this feature carefully because it could consume a lot of mudfish credits if you uses it wrong. 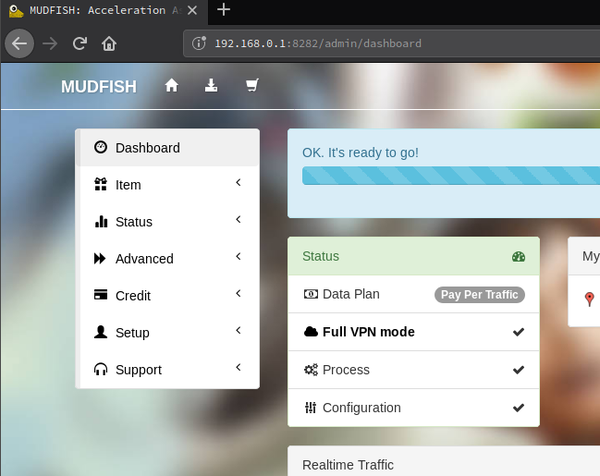 If it turns on, all network traffics on your computer would be passed to Mudfish node you selected. 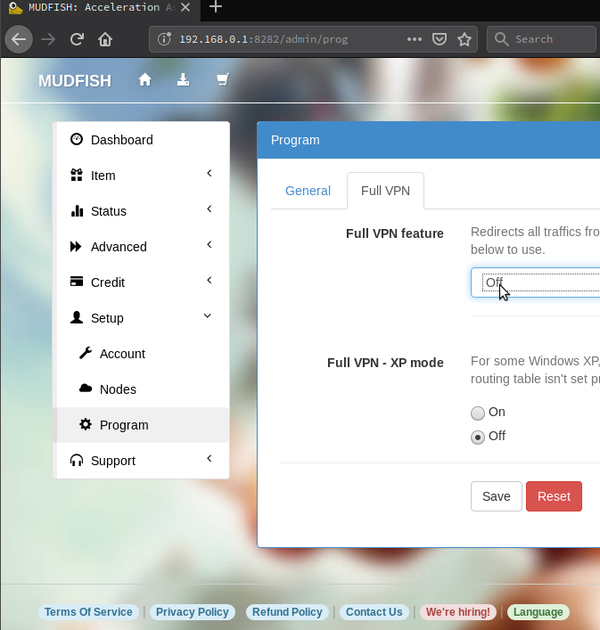 Run Mudifsh Launcher as Administrator and sign in with your mudfish account. Moves to ‘Setup -> Program’ menu then select ‘Full VPN’ tab. Select a node you’d like to use and save the configuration. Restart is required to be applied. Please make sure that your public IP is changed with visiting https://myip.mudfish.net URL. If it works correctly, it’d show proper messages. Please check that you equipped any paid item. To use Full VPN mode, at least you should equip one paid item. However please note that this doesn’t let your desktop use the private DNS server of Mudfish to detour the DNS poisoning.